to increase your capacity to speed up and leverage major new ambitions relevant to our times. We apply our approach which has proven its value globally since 1979. Strategic issues are identified, and entrepreneurial principles applied in action, step by step, tailor-made to the needs of our clients. We have over the past 40 years worked with some 180 companies. Through our entrepreneurial approach we have offered more than 3.5 million people the opportunity to contribute to corporate innovation and renewal. We work best with people who understand that human society is changing faster than ever before and that we face new global realities in a resource-constrained world. We are an assembly of senior practitioners with a powerful combination of skills and experiences, who blend heart and mind and only do business with nice people. We take on a handful assignments per year and engage only on initiatives that have the potential for long-term significant impact. WE ONLY DO BUSINESS WITH NICE PEOPLE. President Bill Clinton and Rockefeller Foundation President Judith Rodin called on ForeSight CEO Björn Larsson at the plenary closing of a Clinton Global Initiative AGM in New York. They recognised Passionate Investments, an initiative by the ForeSight Group launched in partnership with Swedbank, the oldest bank in Scandinavia. The initiative has since been further developed and expanded. 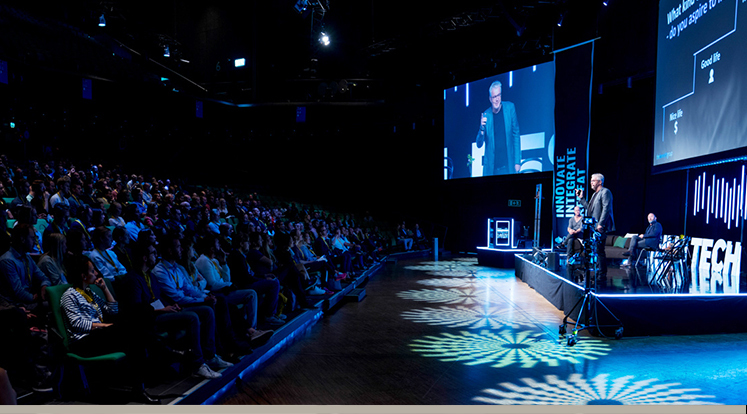 ForeSight Senior Partner Mark Drewell and CEO Björn Larsson launched The Rise of the Meaningful Economy (available on Amazon) as the opening keynote of the Stockholm Tech Fest. Subsequent opening keynotes on this big-data-based insight have included the European Asset Management Annual Conference, Luxembourg, and Media for Social Impact Summit, United Nations, New York. ForeSight’s research identified how Meaning has become an economic force and consequently a lens through which companies can look to create value. We are changing what we buy and from whom, how and where we work, what we do with our capital and how we design and run our organisations. We led the Globally Responsible Leadership Initiative (GRLI) design team from inception in 2003 and contributed its founding chair, board members and first CEO. 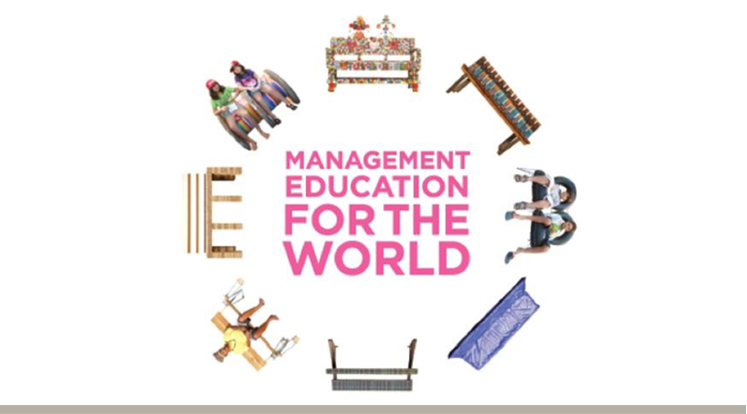 GRLI is a partnership of 100 business and business schools (including Babson, INSEAD, London Business School, Aviva, IBM and Glaxo Smith Kline) working with the two leading business school accreditations (EFMD and AACSB) and the United Nations Global Compact to transform business education. The word “Global Responsibility” is now embedded in the global discourse and the idea of such leadership has become the aspirational “new normal”. Throughout our history, we have established close contacts with many thought-leaders via high-level seminars, sometimes on our own, sometimes together with prominent organizations, like the Economist, and often at an early stage before they gained recognition. As Jim Collins was well into his study on Good to Great the ForeSight Group was invited to his home town Boulder, Colorado, to test his findings together with a group of the ForeSight Group clients from Australia, Europe and the US. The land mark study became an instant worldwide success. Today 5 million copies sold. The Good to Great thesis fits well with the ForeSight entrepreneurial approach. 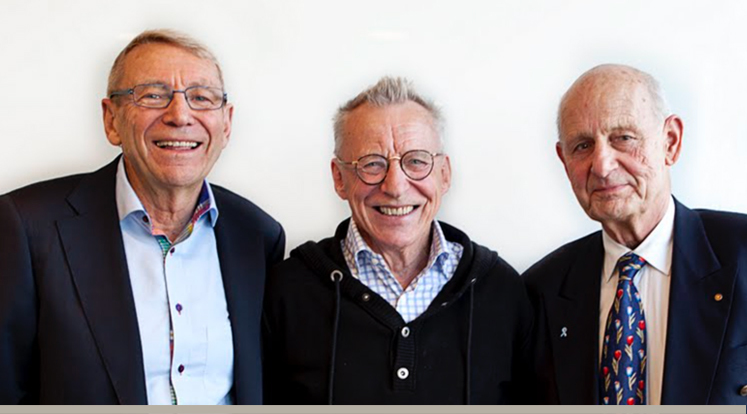 Sven Atterhed, Lennart Boksjö and Gustaf Delin founded the ForeSight Group in 1979 and pioneered the field of internal entrepreneurship (intrapreneurship) by licensing its approach to consulting firms in 13 countries. The entrepreneurial principles applied have stood the test of time and are equally relevant today. ForeSight Partners have served as board members (including chair) and in the role as Intl Ambassador of the World´s Children´s Prize (WCP) since its inception at the millennium. Thanks to the relentless work of its founder & CEO Magnus Bergmar, it has become the world´s largest empowerment initiative on rights and democracy for and by children. The WCP raises the consciousness level of the next generation and contributes to humanizing humanity. Some 50 million children have participated in the WCP programme through 70 000 schools with the support of 100 000 teachers and 800 organizations in 116 countries. ForeSight CEO, Björn Larsson, and Senior Partner, Mark Drewell have been made Honorary Patrons of WCP in recognition of their contribution. The Patrons include six Nobel Laureates among them Joseph Stiglitz and Nelson Mandela. As we all know but tend to forget – life is no dress rehearsal. Therefore, we gather our ForeSight Strike Team members (some with partners) bi-annually. We also invite wonderful long-time ForeSight friends as well as people we are curious to learn to know. Below is a pic from a recent ForeSight Exploration Journey, in an olive grove, Zakynthos, Greece.